Montgomery County is a county located in the United States, in Maryland. It has a current population of 1,016,677 residents and rests on 491 square miles of land. Most of the residents in the county reside in unincorporated communities, the most popular ones being Silver Spring, Germantown, and Bethesda. The unincorporated cities of Rockville and Gaithersburg are also popular and largely populated. It is one of the most affluent counties in the United States. It also has the highest percentage of adults over the age of 25, who hold post-doctorate degrees. It was ranked by Forbes magazine in 2011 as the 10th richest in the entire United States. The median household income is $92,213. 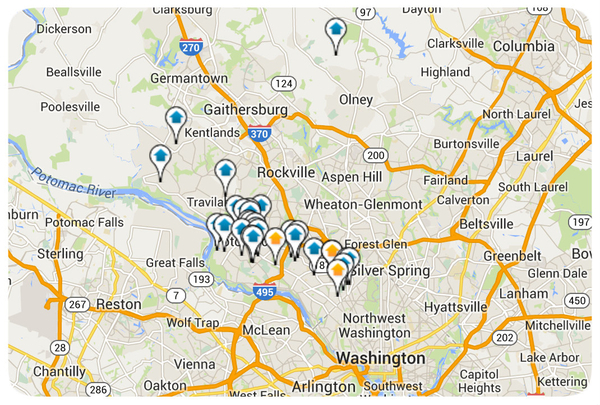 The median home value in Montgomery County is $415,800. Its home value rate has risen by 4.0% in the past year. The median price per square foot for a home in Montgomery County is $241, and this is higher than the Washington Metro’s median price per square foot, which is $207. If you would like to reside in a county full of gorgeous homes and wealthy residents, than Montgomery County is the perfect place for you.